In the world of entertainment and sports, fighting promotions have become one of the most entertaining means to find enjoyment. Daniel Cormier is a mixed martial artist who is signed to the Ultimate Fighting Championship, undoubtedly one of the successful fighting promotions out in the world. As a fighter whose job is to fight others to make a living, Daniel Cormier has found quite a success from the sport. He has become the highlight of various high earning pay per view bouts. Whether he wins or loses the fights, he has managed to establish a huge net worth from the prize earning of his fights. So take a dive into the champion's highest-paid fights to find out his current net worth. Even though Daniel Cormier has been active as a fighter for many years, it was not until he joined UFC that he got to be part of high steak prize fights. 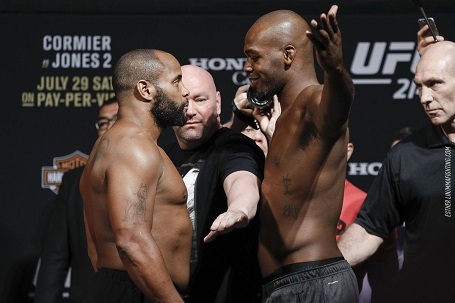 One of the biggest fights of Cormier's career was at UFC 214 where he faced against his bitter rival Jon Jones. 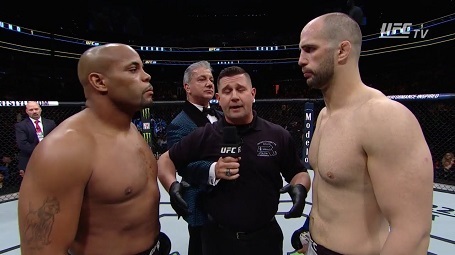 Cormier lost the fight to Jones with a third-round KO. Despite his loss, he took home $1 million for his efforts at the fight. Furthermore, the win of Jones was later revoked as he was tested positive for Turinabol, an anabolic steroid on testing later. Daniel Cormier's next big fight was against Volkan Oezdemir at UFC 220. He defeated Oezdemir in the 2nd round, dominating him throughout the match. He earned $500,000 from the fight and took home the Performance of the Night bonus as well. At UFC 226 victory over Stipe Miocic, Cormier once again pocketed $500,000. His last fight was against Derrick Lewis for his UFC Heavyweight Championship at UFC 230 where Cormier came out as the victor successfully defending his title. He is reported to have earned $630,000 from the fight while Derrick took home around $500,000. How Much Is Daniel Cormier's Net Worth? You may now already have a gist as to just how much money Daniel Cormier is currently bringing from each of his fights. It is only recently that he has been bringing in the big bucks and should things go in the track he may very well compete with the biggest earning fighters like Conor McGregor as one of the cash cows of the UFC. Cormier's net worth at present is estimated to be around $4 million. He has so far made the career earnings of $4.6 million in MMA. His huge financial success is not just limited to his success as a mixed martial artist but also the various endorsements he has been presented with. He is currently endorsed by Monster energy drink and sports company Adidas. They are big sponsors in the sports world and their financial support have helped him to establish a financial estate for himself. Besides, he also had a deal with Popeye's Chicken previously but Popeye later pulled it and signed Lewis. Daniel Cormier owns a beautiful house in the United States where he currently lives with his wife Salina Deleon and three children. The double division champion owns several cars for riding. The best in his list are BMW and Ford. Besides, he can also be seen on his Harley Davidson.